Step into the lobby of WestHouse Hotel and be transported into an F. Scott Fitzgerald novel. Nestled in the heart of Midtown West in Manhattan; the boutique hotel combines luxury and vintage elegance with hospitality and guest satisfaction, or as they like to refer to them as “residents,” satisfaction as its top priority. The hotel attentive staff will make sure your stay at the hotel is one to remember. 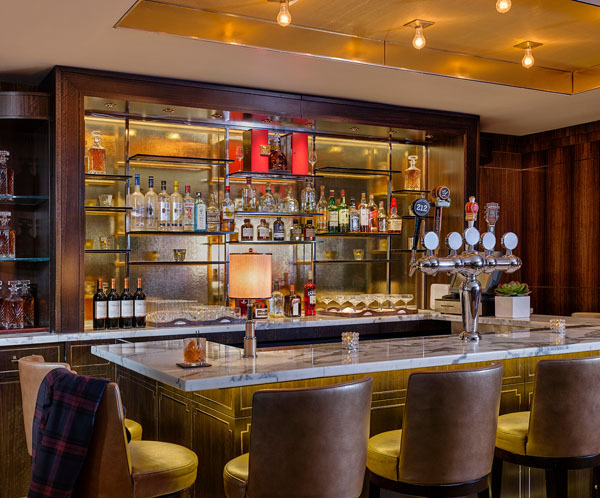 Its decor embodies the sophistication and allure of the 1920s, such as the Den, its speakeasy lobby lounge, equipped with a bar, a fireplace, as well as a library where hotel residents can sip on handcrafted artisanal cocktails and small plates made with seasonal ingredients. The 1920’s chic glamourous style is carried throughout the hotel. 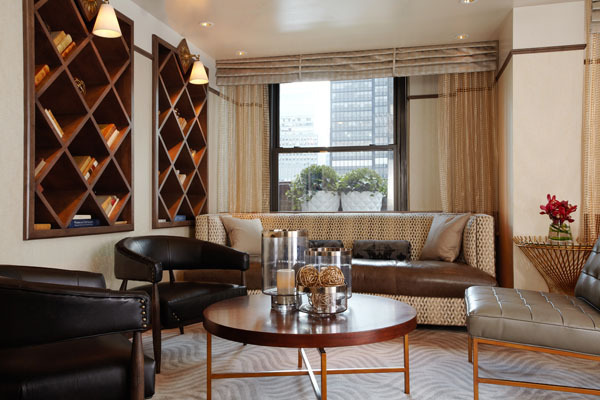 Its proximity to famous New York landmarks such as Rockefeller Center, the theater district as well as vibrant neighborhoods makes Westhouse Hotel the perfect destination for a weekend getaway with friends, family, and even pets, who get their own bed and bowl! The vintage and chic hotel has stunning views of New York City that can be seen from the outdoor terrace that sits on the 23rd floor. The hotel has 172 bedrooms and suites, all of which have a chic interior and a view of the courtyard, the city and or Time Square. Each room comes with professional Good Hair Day (gHD) styling products, eco-chic bath products designed by DayNa Decker and a high definition television. Planning a weekend for you and your gal pals? Make sure to book an in-room hair and makeup makeovers and beauty lessons by NOMI Beauty, and includes some sweet treats from Magnolia Bakery as well. WestHouse Hotel is not only dressed in a meticulous art deco design but is also conveniently located in the heart of Midtown West. 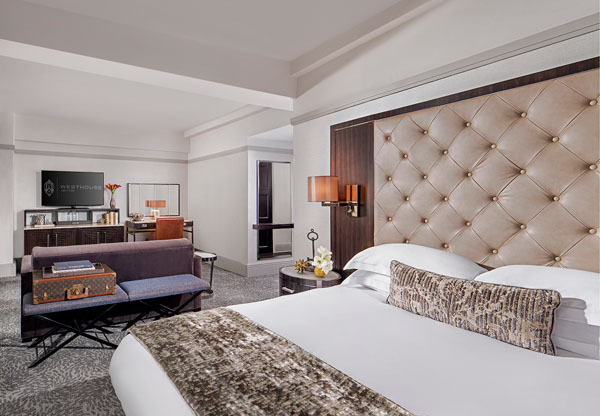 Just moments away from the famed Fifth Avenue, the ultimate luxury shopping destination, Museum Mile, the theater district, Rockefeller Center, amongst other famous landmarks, and some of New York’s trendiest restaurants, guests of the hotel have endless options from which they can choose. Explore the city as a local, as WestHouse also has partnerships with premier local businesses such as Perfect Picnic, which creates luxury picnic experiences. Guests can also embark on an exclusive private tour of City Winery, the only winery in Manhattan and tour the cellar, taste wine fresh from the barrel and dine at the restaurant. Throughout the year, guests of Westhouse have access to VIP experiences and preferred access at some of the city’s most exclusive events. 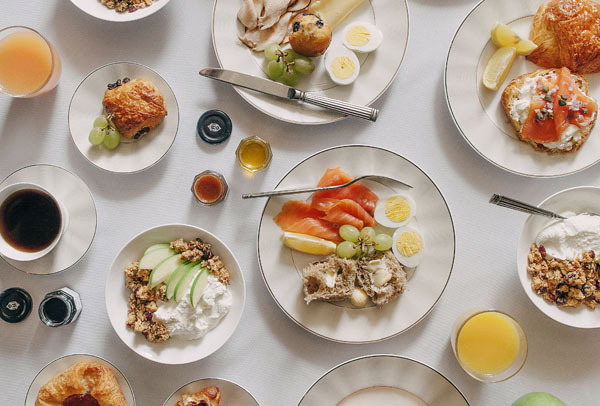 Other services that are offered by WestHouse include a daily sweet and savory breakfast as well as a barista bar, providing nonalcoholic beverages and a happy hour served with small plates. Additionally, the hotel has a weekly movie night held in the Den every Thursday, where residents can enjoy complimentary gourmet popcorn along with specialty cocktails themed to each week’s movie, and a 24-hour fitness center. It only takes one stay at WestHouse to become hooked to the boutique hotel and be surrounded in the Gatsbyesque glamor.